North American consumers are helping shape global trends in ready-to-drink (RTD) coffee while Asian markets are fueling the category’s international growth, according to a presentation today by Euromonitor International senior analyst Matthew Barry. In a webinar on top RTD coffee trends by the market research agency, Barry called North America the key growth area for the category. The U.S. retail value growth for RTD coffee is projected to be nearly $1.6 billion between 2017 and 2022, and the American approach is shaping the way the rest of the world innovates in the space. According to Barry, the rise of RTD coffee in the U.S. has been supported by several factors, including a decline in carbonated soft drink sales, an active on-premise coffee culture, on-the-go lifestyles, and investments by major beverage players such as The Coca-Cola Company and Keurig Dr Pepper. Although there has been a recent influx of sizable brands entering the space, such as Dunkin’ Donuts, the category has largely been shaped by Starbucks, he said, with many brands taking their cues from the success of the company’s Frappuccino line. The resealable glass bottle format, popularized by Starbucks, has become the fastest growing format globally, although cans and cartons remain dominant in other nations. A lack of cannibalization within the coffee space is another reason for RTD coffee’s fast rise, Barry said. Unlike coffee pods, which can eat into sales of ground coffee, RTD is common as a grab-and-go addition to morning coffee rituals. 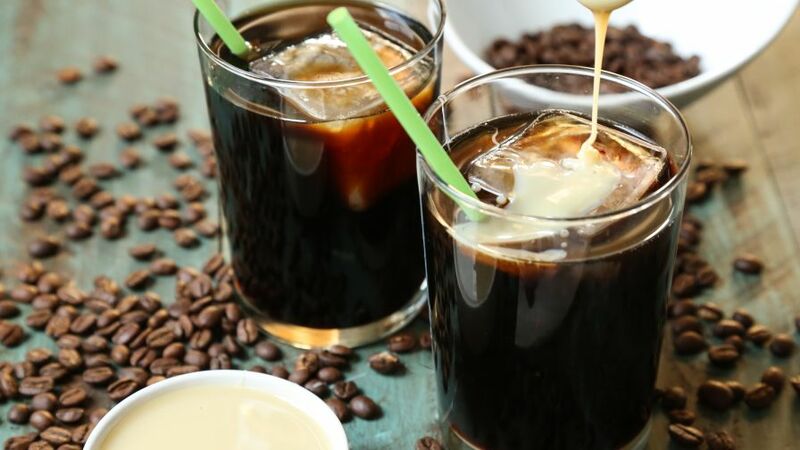 Cold brew has also been a strong trend driver in the U.S., with the category experiencing nearly 150 percent year-over-year sales growth between 2014 and 2016, compared to just 50 percent growth in 2012. The space grew about 100 percent between 2016 and 2017. Despite this, price remains a barrier for some, as the average U.S. RTD coffee product costs 4.6 times the amount of a carbonated soft drink. However, lower prices in fast growing Asian markets are helping accelerate growth; in the Philippines, for example, where coffee costs only 2.5 times the price of CSDs, the category has grown 776 percent since 2015. As brands in the category continue to innovate, Barry said he sees “emerging functionalities” as the next post-cold brew stage of RTD coffee’s evolution. He also noted the category’s potential beyond just providing energy in the traditional sense, with opportunities for coffee brands to build around callouts like clean energy, antioxidants, butter and MCT oil, and probiotics.